There's something about being able to escape into a book where you can become all kinds of people. You can try on the soft spoken wisdom of the friend who's the "third wheel". You can be the funny, wisecracking best friend who always knows how to make things better. You can be the selfish bad guy who always gets his way. Or you can be the brave heroine who struggles along to make the right choice and become a better person. The choices are endless on the type of books and the characters inside of them. One of the best books I've read recently is "Divergent " by Veronica Roth. When I first picked up the book, I wasn't sure what I'd think. I hadn't read too many "dystopian" styled books. I had read several "young adult" books and it seemed it was hit or miss in whether I liked them. But I fell in love with Tris, Four, Al, Will and the others pretty easily. Divergent is set in a future world where society is divided into factions. Each faction is based on a principle that the members feel is the most important character trait of a good society. Amity believes in keeping the peace above all else. They believe in Trust, self-sufficiency, forgiveness, and kindness. Candor believes in telling the truth at all times. They believe that dishonesty makes evil possible and truth makes us inextricable. Abnegation believes in putting everyone else first at all times. They believe society's selfishness is their undoing. Erudite believes knowledge is power and can bring wisdom and harmony. They believe that knowledge is the only logical solution to conflict and that intelligence must be used for the benefit of society. Dauntless believes in bravery and freedom. They believe in freedom from fear, in ordinary acts of bravery and in defending those who can not defend themselves. Beatris is a young Abnegation girl who must make one choice to transform herself and her future. She must pick which of the factions she will pledge herself and her life too. After much struggle and a few lessons learned about who and what she is, she chooses Dauntless. Now she must learn to survive there. Why do I love Divergent? Not only is the story interesting and captivating, I love the hidden messages under the story. 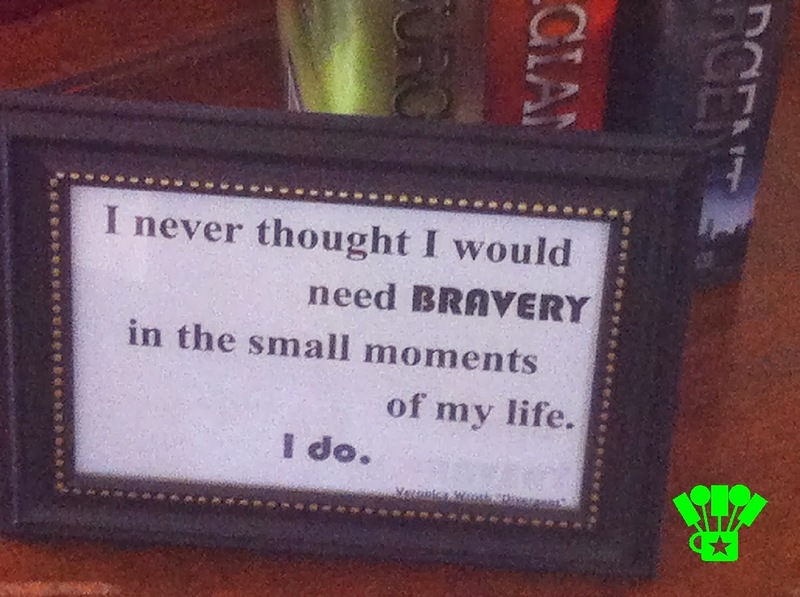 I love that Veronica tells a story of being brave, even when it's hard. 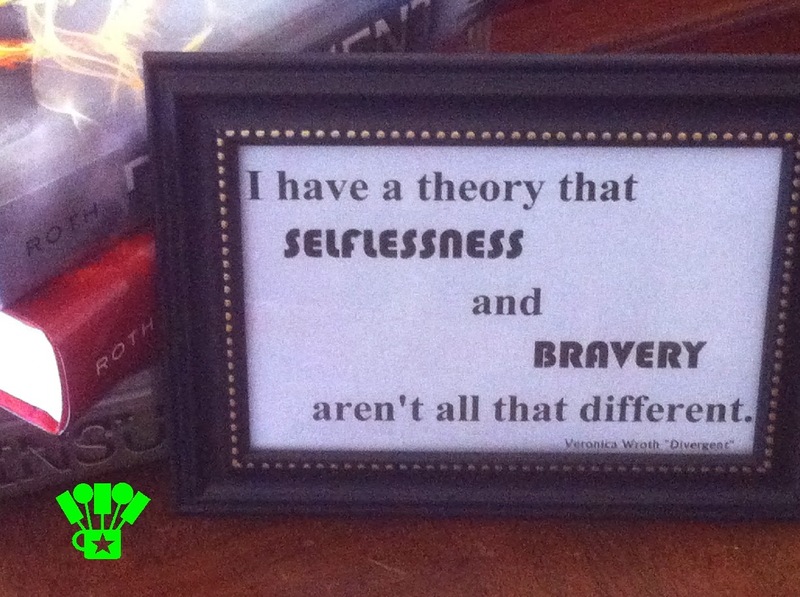 I love that Tris shows us that being selfless is another form of bravery. I love that Four falls in love with Tris when she's struggling to stand up for another who can't stand up for himself. 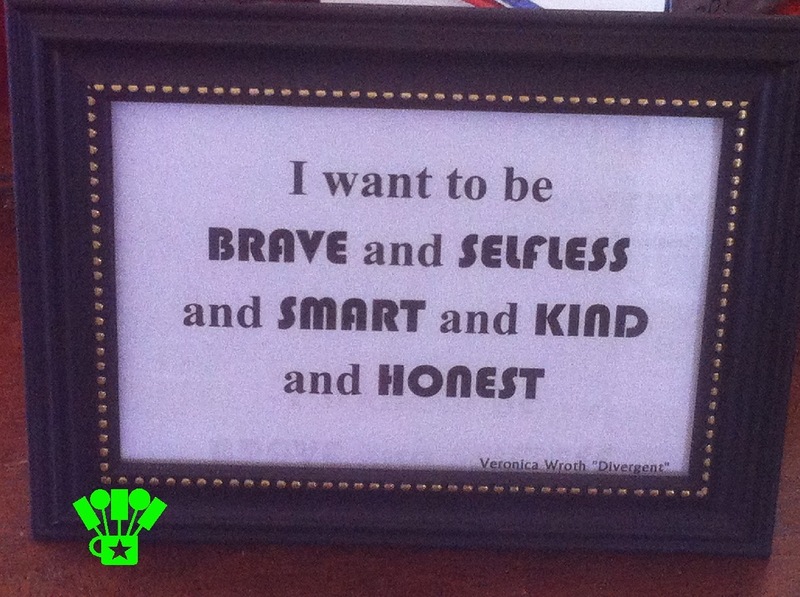 I love that we can learn to be brave, selfless, honest, smart, and kind. We don't have to make just once choice. We can be it all. If you haven't read Divergent , I highly recommend picking it up. If you have, I'm sharing a few of my favorite quote printables from the book. 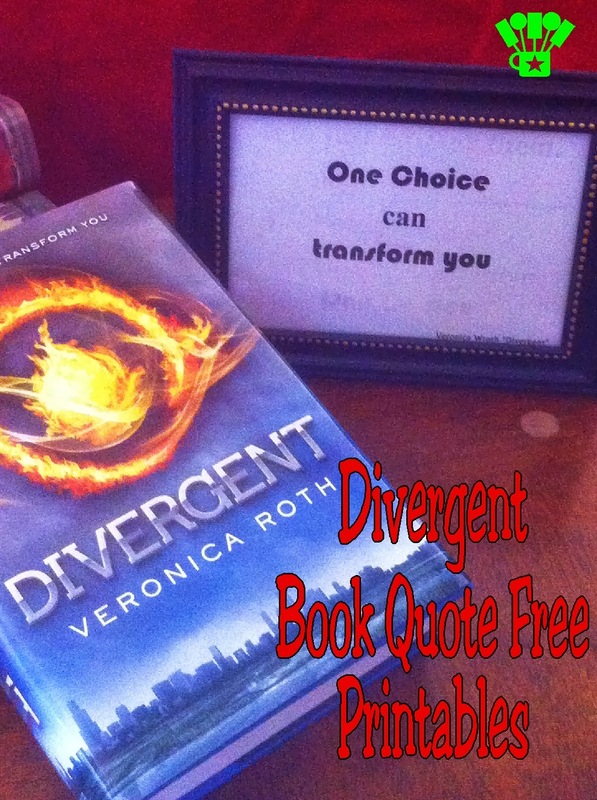 You can find the complete Divergent printables here. Stay tuned for lots more Divergent printables and party ideas! 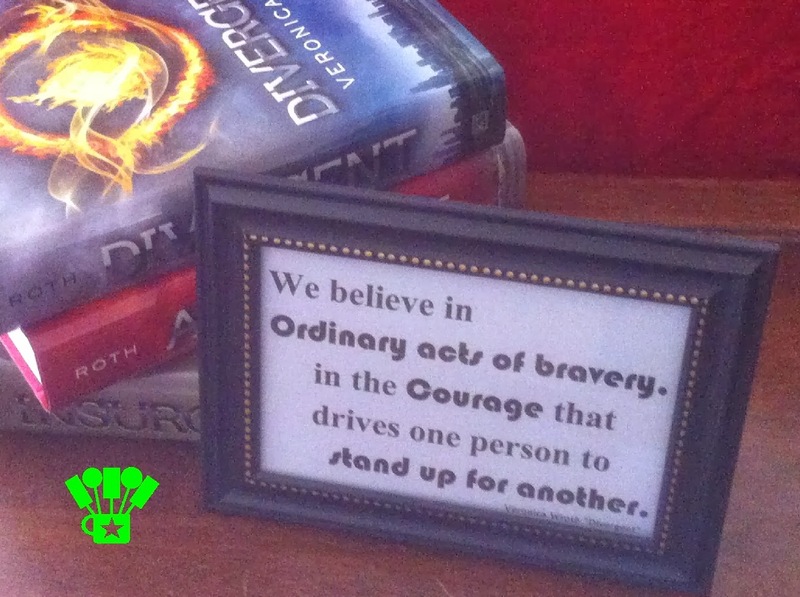 I'm starting on a Divergent party theme today so we will be ready to make the choice to go see the movie next month. 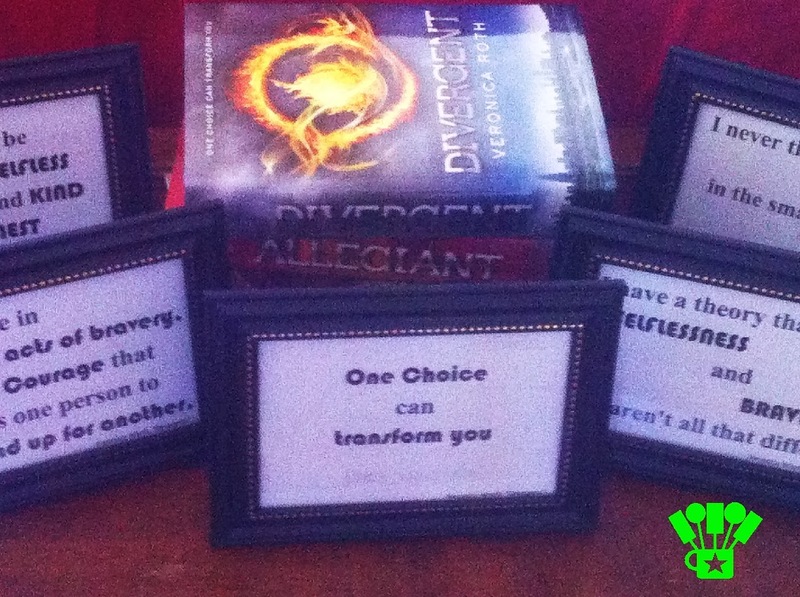 Feel free to grab a few 4x6 inch picture frames from your local dollar store and print out these free printables to dress up your Divergent party table.